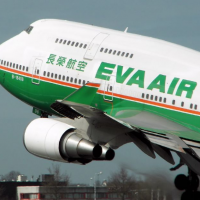 Passengers preparing to fly Eva Airways in Taipei will soon find themselves being greeted the friendly Japanese-designed robot - Pepper - the Taiwanese air carrier announced on Wednesday. 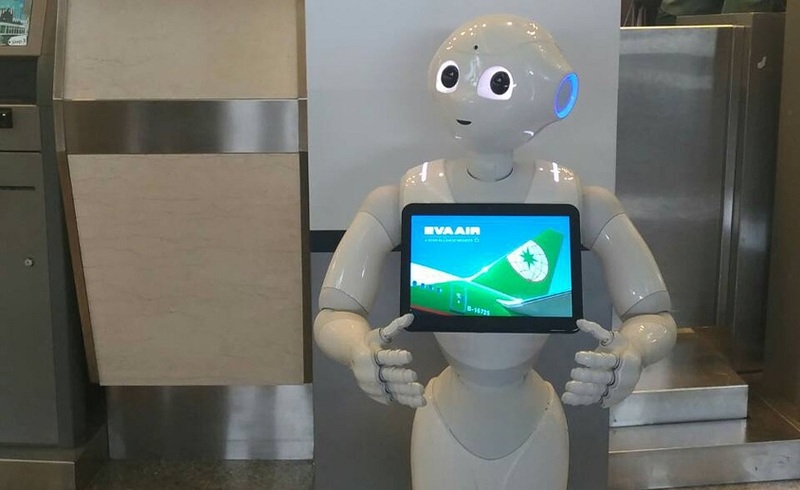 Eva Airways announced that a total of three Pepper robots will begin service on Thursday at the international counter of Taipei Songshan Airport and Taiwan Taoyuan International Airport's VIP lounge. The robot stands at at 121 centimeters in height, weighs 29 kilograms, and is composed of 20 flexible joints. Developed by Japan's SoftBank corporation and manufactured by Taiwan's Hon Hai Precision Industry Co., the world's largest contract electronics maker, the humanoid companion is designed to communicate with humans. Using its 27 sensors, the adroit androids can automatically recognize the principal human emotions and select behavior best suited for the situation. 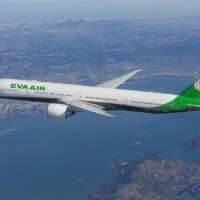 EVA Air said Pepper's first priority at the airport will be to welcome passengers and tell them where food, fun activities, and duty-free products and shopping areas can be found. The robot has been programmed to interact with passengers, shake hands, chat and play games. In addition to entertaining visitors, the clever robots, can record passenger habits and preferences and other information in order to improve the quality of service in the future. "The aviation industry needs a lot of manpower and professional skills, and it needs to meet the needs of different travelers from all over the world. Pepper has optimized features and powerful database functions, all of which are designed to assist service. We hope Pepper will become the most reliable helper for our customers and colleagues through constant training and upgrading, and will become more and more intelligent and capable." Initially, Pepper offer service in standard Mandarin, however it will eventually become familiar with foreign languages, such as Japanese and English, as well as be able to scan barcodes on boarding passes. It will also be able to provide travelers with additional information such as their boarding gate, boarding time, and weather conditions at their destination. Since its introduction earlier this year, the peppy little robot has already been employed by number of Taiwanese companies, including First Commercial Bank, the Bank of Taiwan, Cathay Life Insurance and Pingtung County government, to name a few.